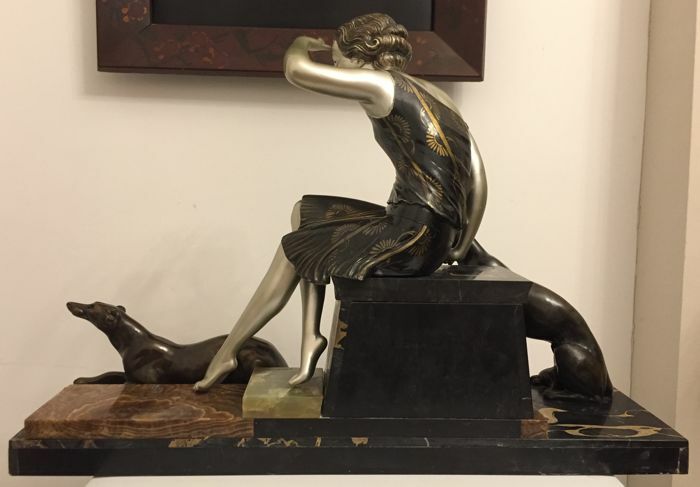 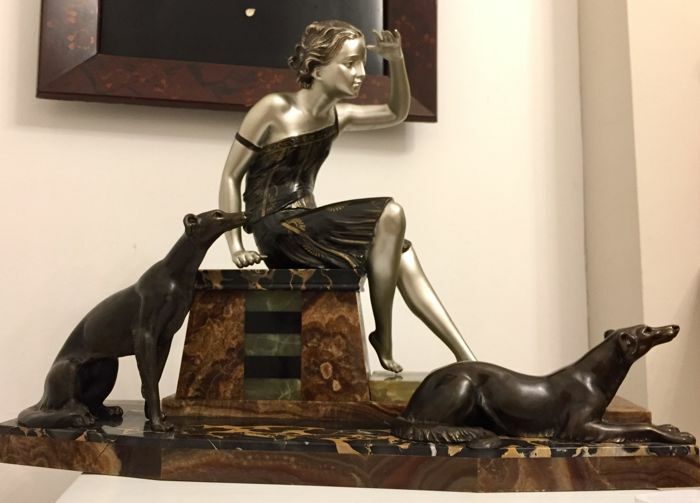 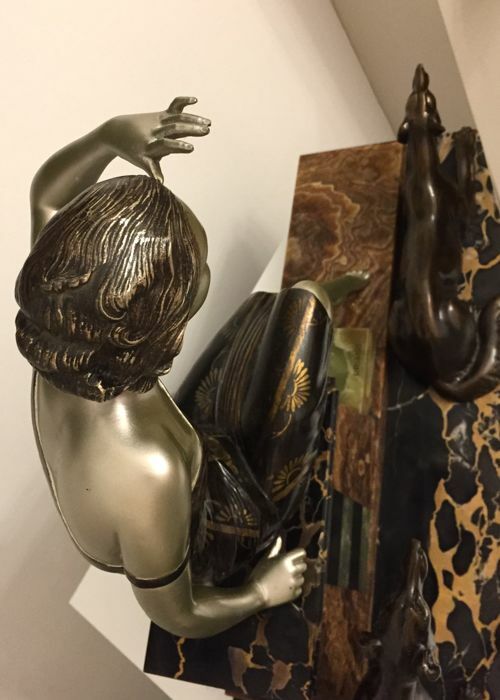 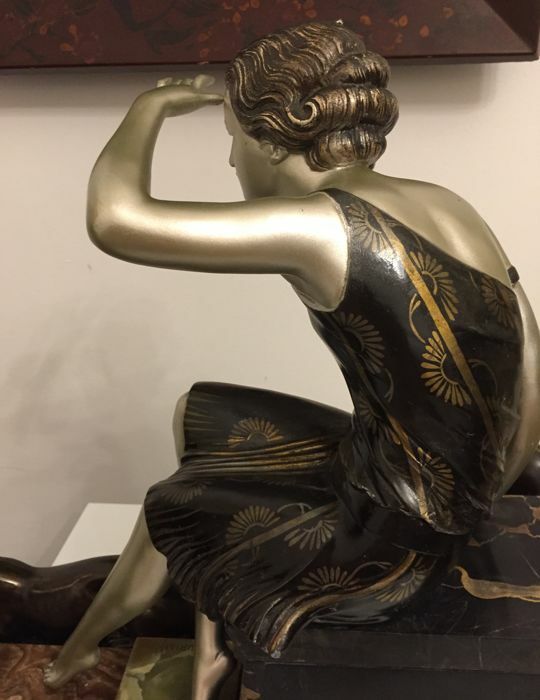 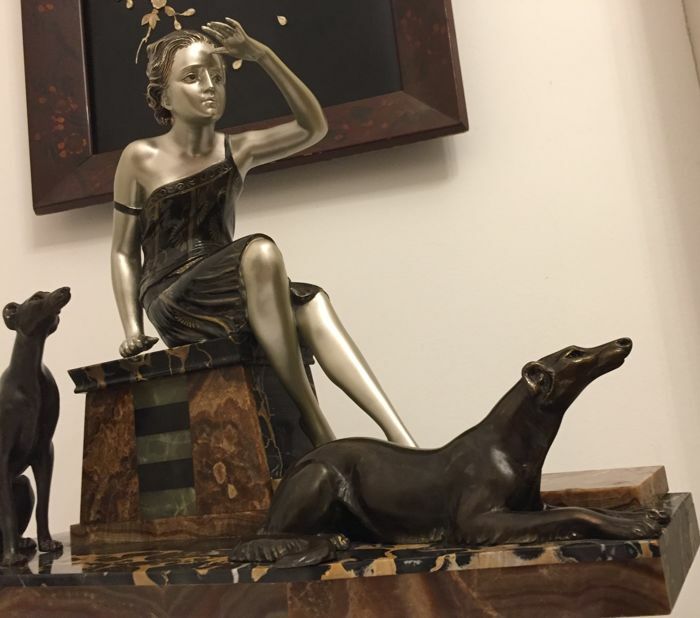 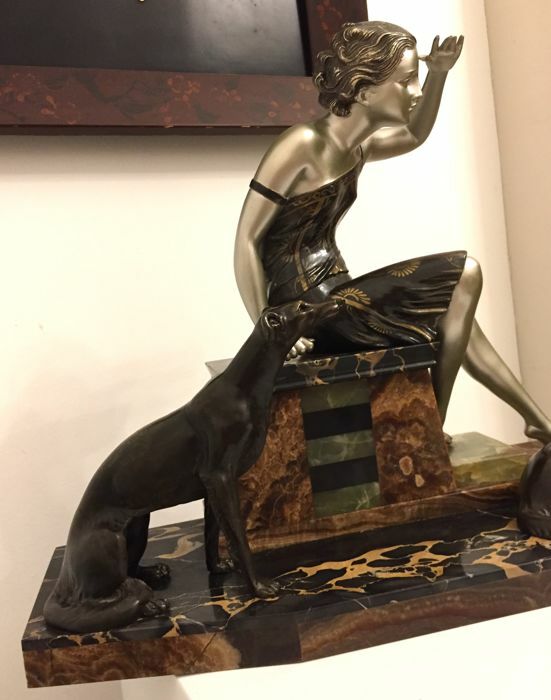 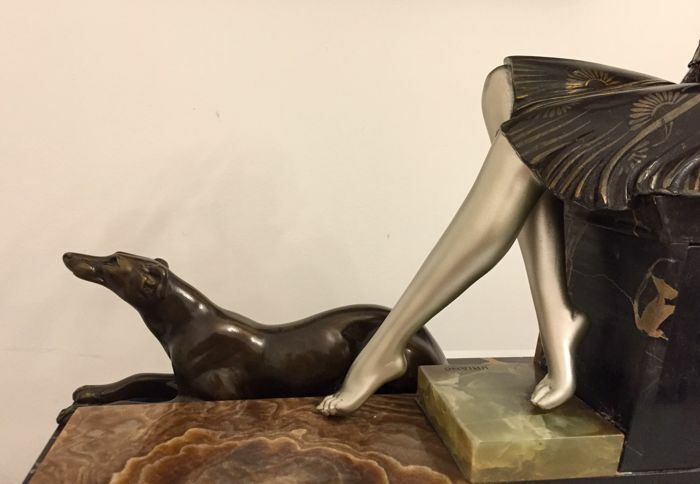 A monumental Art Deco sculpture, “Waiting” by Uriano. 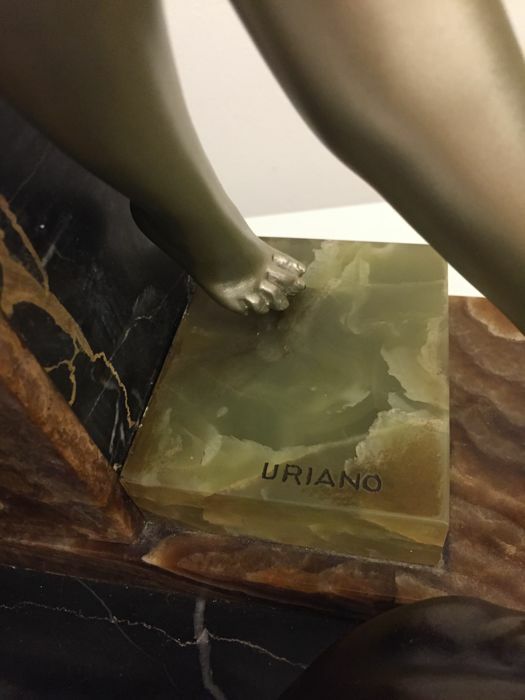 Signed to the base and the lady “Uriano”. 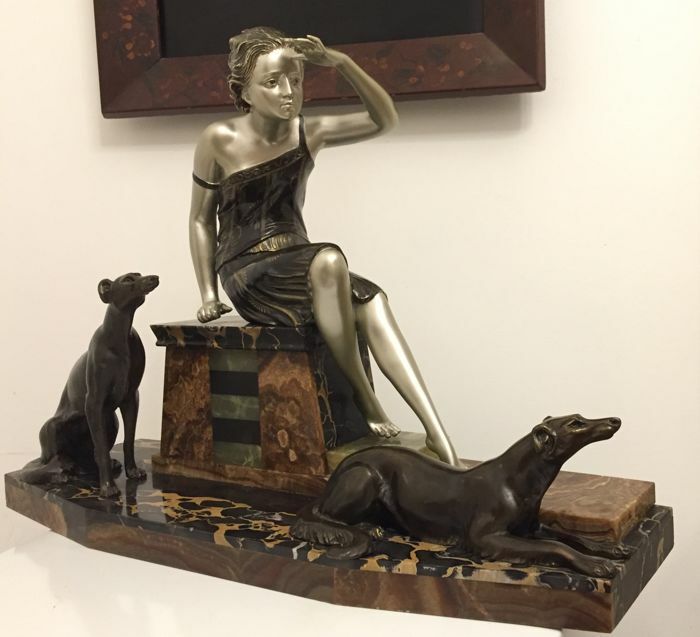 “Dictionnaire illustré des sculptures animaliers & fondeurs de l’antiquité à nos jours “ by Jean Charles Hachet. 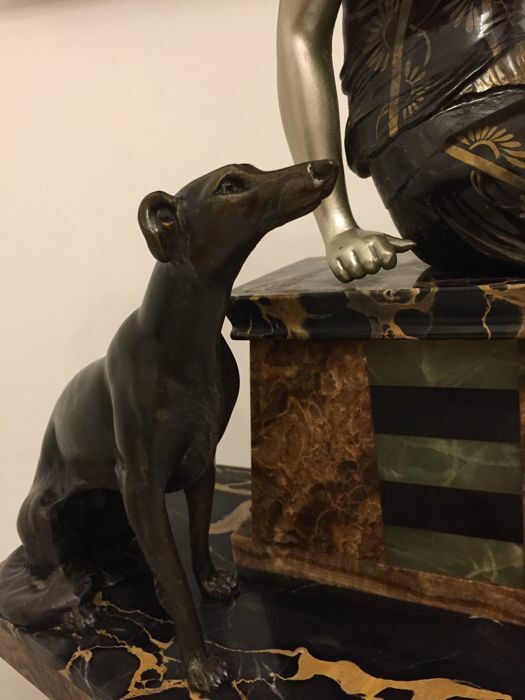 Argus Valentines. 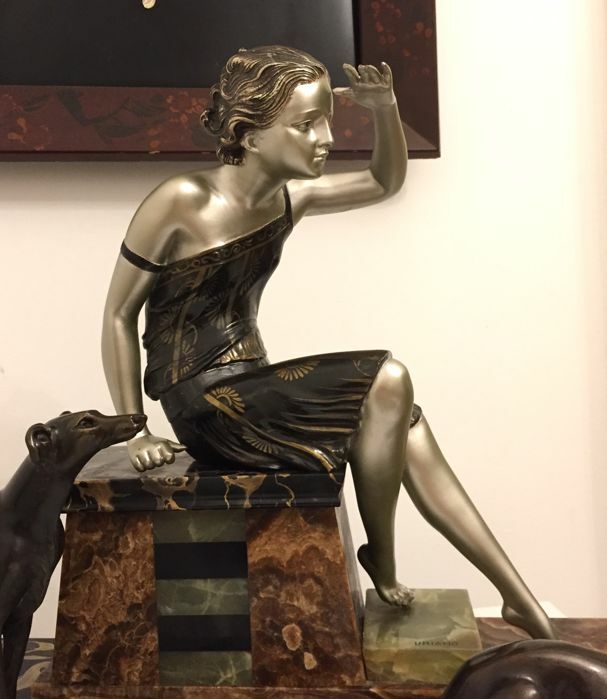 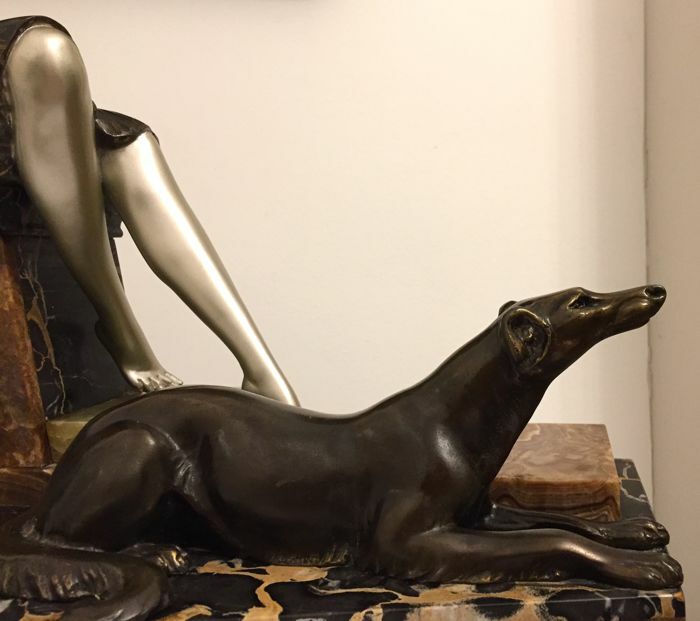 Cold painted Spelter, mounted on stunning portoro marble and onyx base. 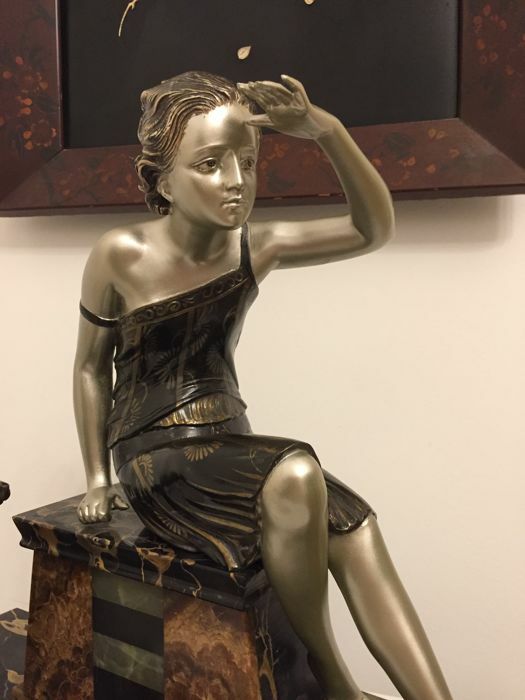 In good vintage condition with common signs of age and use. 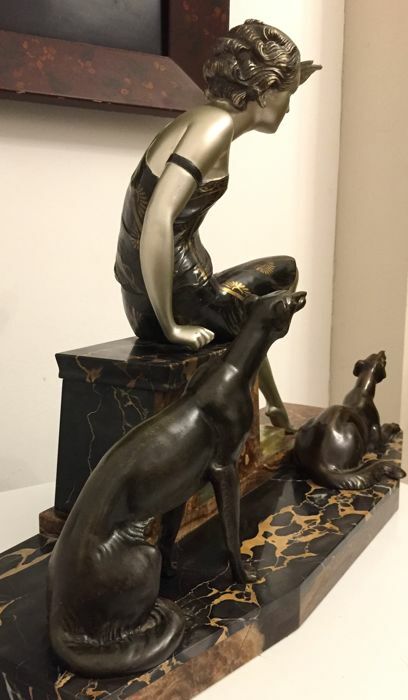 Italian sculptor born in Florencia, Italy, 13th August 1897, died in Paris in June 1960. 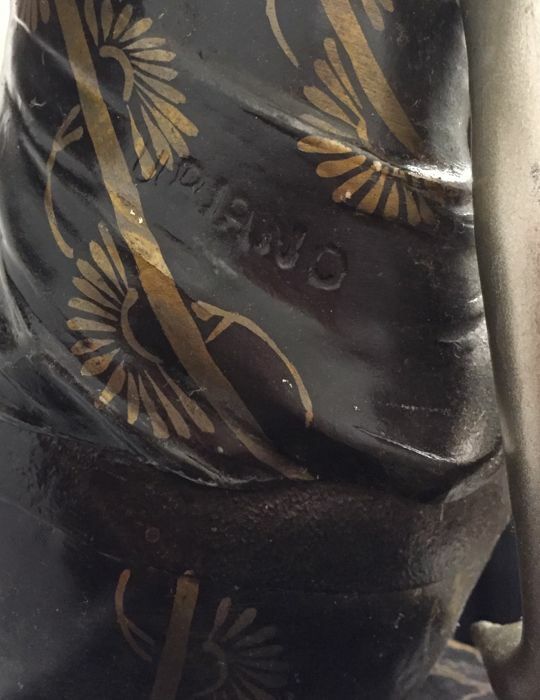 Studied at the famous Accademia di Belle Arti di Firenze. 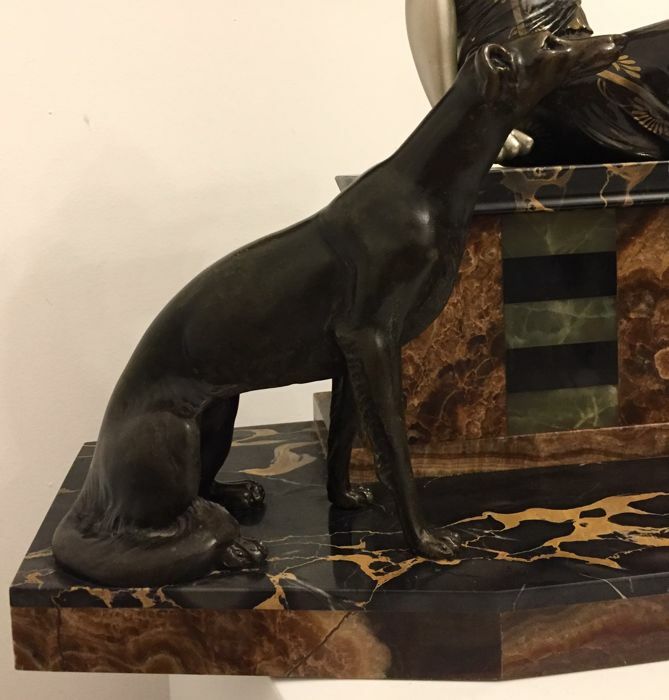 He followed in his Fathers footsteps as he too was a sculptor. 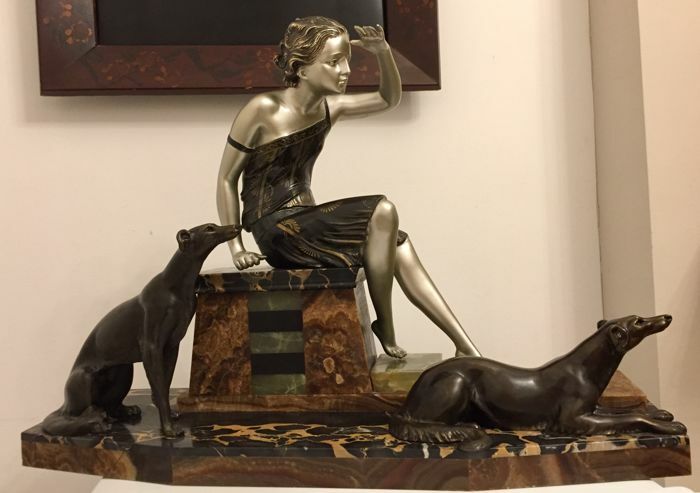 He left Italy for france around 1935-1937 to escape from Mussolini's fascist government and became a political refugee in Paris where he kept on working his craft until his death.